New Jersey Bridal & Wedding Expo | Info for Exhibitors | Why Exhibit? 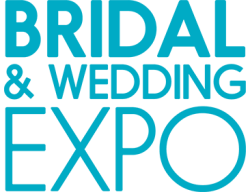 Interested in exhibiting at the Bridal & Wedding Expo? There is no industry like the bridal industry. Couples are spending more than ever to ensure their special day is a timeless and unforgettable experience for friends, family and themselves. With nearly 2.5 million weddings every year in the United States, the industry continues to flourish and grow. If you're looking to capture your fair share of this market, American Consumer Shows - the largest producers of consumer shows in the United States - hosts extraordinary Bridal & Wedding Expos in some of the most desirable markets in the country! Founded in 1979, ACS produces more than 47 annual Home Shows, and over 74 annual Bridal & Wedding Expos and a flower & garden expo, helping thousands of small and large businesses meet face-to-face. ACS events consistently attract a large, qualified audience, ready to buy and eager to learn about our exhibitors' offerings and services. Our extensive experience advertising shows enables us to deliver brides directly to your booth at each of our events. Who will I reach at the Expo? You will connect with brides-to-be in some of the most affluent markets in the country by utilizing a marketing campaign perfected over 35 years. What are the benefits of exhibiting? • Receive the largest brides-to-be attendee list of any bridal show. • Large attendance replaces 20 smaller bridal shows. • Set up and take down your booth one time. Less work, more results. • Multiple decision makers attend the show together. • Weekend hours allow bride, groom, and parents to come, which leads to higher conversion rates and a shorter sales process. • Sell your products and services, in person, to a targeted audience that is ready to buy. • Demonstrate the latest products and services to an audience who can see, touch and buy your product. • Create brand awareness amongst the highly targeted audience you want to reach. • Drive traffic to your store and website for months after the show. By far the most successful producer of bridal shows in the U.S.
Over 25,000 registered brides in 2018, averaging over 1,500 registered brides per show!! Over 50,000 attendance in 2018, averaging over 3,000 brides and guests per show! !